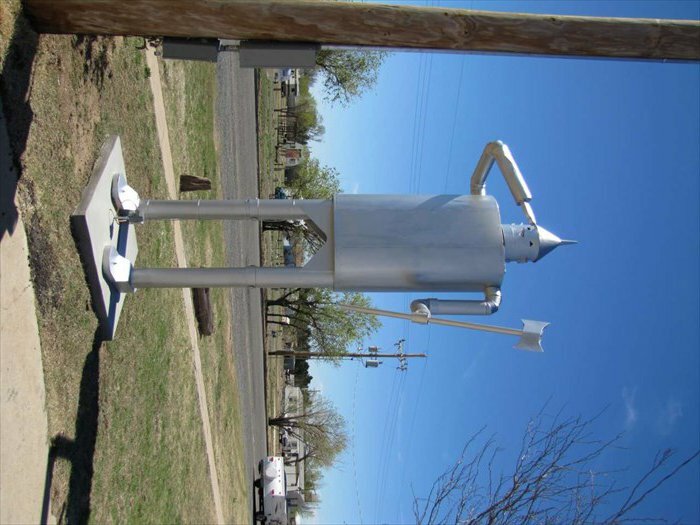 If you have a soft spot for the Wizard of Oz companion who was wishing he "only had a heart," visit the Tin Woodsman that stands outside the Cimarron Heritage Center Museum in Boise City. The replica is 13-feet tall and weights 750 pounds. 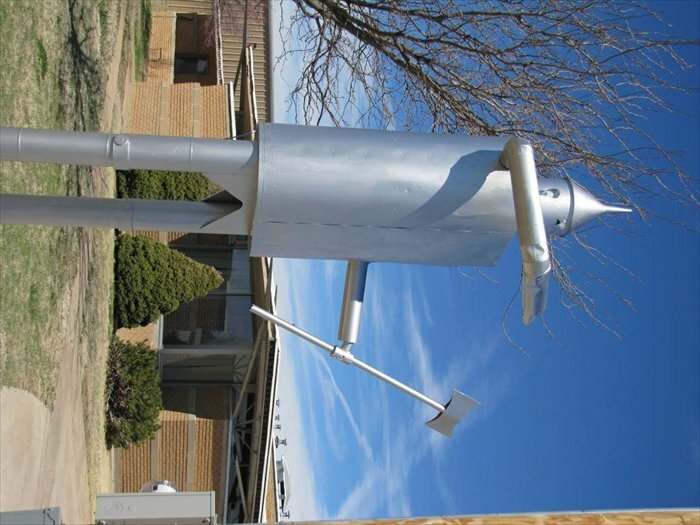 The Tin Man was created in 1989 by John D. "Pete" Morris and has moved quite a bit since then. For several years it attracted customers to Morris' Log Cabin Corner, a cafe outside of Laverne, Oklahoma. It was sold and moved to Colorado in 2006 when the restaurant closed before finally finding its current home in front of the museum sometime in late 2011 or early 2012. Museum hours are posted above. Museum closed 12-1pm and on major holidays. 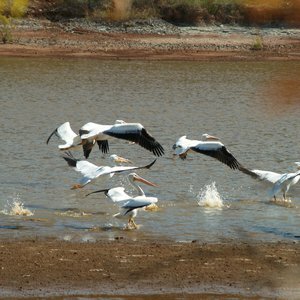 Located at the Cimarron Heritage Center Museum.